"Attitude Excellent. Job Done Well. Very Happy With The Service"
"Quick, Responsive, Friendly, Timely And Clean. Highly Recommend." "Accurate Quote, Excellent Work And Offered Advice When Needed." 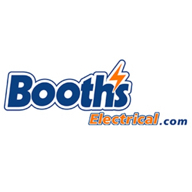 Need a Electrician in Thornton-Cleveleys?